DUNDEE, Scotland — Ladies looking to move up into a top-level position within their companies may want to give their cosmetic routine a makeover. A new study finds that women who wear too much makeup are viewed as less qualified to hold a position of leadership. Researchers from Abertay University recruited 168 adults (48 men, 120 women) and had them view computer-altered images of two women. The women were shown with various degrees of makeup applied, from completely natural to done up for a “social night out” on the town. The results showed a woman was viewed as being a better leader when wearing less makeup. In the study, participants were shown images of the same woman with and without cosmetics. Two images appeared side by side in the experiment and participants were asked to rate which woman per set appeared to be the better leader. The researchers found that participants, both men and women, frequently chose the women with less makeup on as the stronger choice. 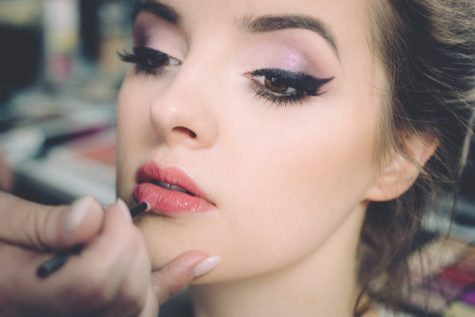 “This research follows previous work in this area, which suggests that wearing makeup enhances how dominant a woman looks,” says Dr. Christopher Watkins, the lead author, in a university release. Research published last year on a similar inquiry showed that women perceived other women who wore makeup to be more dominant, while men saw the same women as having more prestige. Results in a follow-up to that study found that women were more likely to be jealous of other women who work makeup and viewed them as more attractive to men — and also more promiscuous. “While the previous findings suggest that we are inclined to show some deference to a woman with a good looking face, our new research suggests that makeup does not enhance a woman’s dominance by benefitting how we evaluate her in a leadership role,” says Watkins. So if first impressions are everything, it may be best, sometimes, to do nothing to enhance your natural beauty. The full study was published this week in the journal Perception.